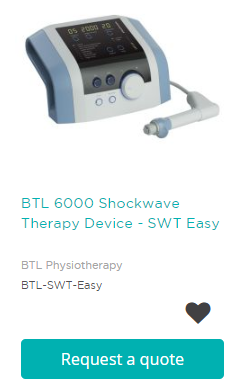 This training is intended for healthcare professionals who need more in-depth knowledge and practice on integrating shockwave therapy in their clinic’s treatment options. The objective is to provide the clinician with the necessary tools and techniques to feel comfortable and confident using this modality in their everyday practice and to get the best results for their patients. This course is open to all health care professionals – licensed physiotherapists, physiotherapy students, physiotherapy assistants, occupational therapists, chiropractors, naturopathic doctors, massage therapists, registered kinesiologists, and medical doctors. Rosen obtained a Masters degree in Physiotherapy at NSA in Sofia, Bulgaria in 1994. He practiced at the Regional Hospital in his home town of Dobrich until 2001 and ran his own private practice gaining vast experience in orthopaedic and neurological rehabilitation. During the same period, he was a clinical trainer and teacher at the Physiotherapy Assistants program of the local Medical College. "Rosen was absolutely fantastic! I wish we had that session when we got the device. It makes so much more sense now: how to maintain it, how to use it effectively for different injuries, the appropriate positioning of the head, number of shocks, intensity, etc. Rosen was SO helpful. I recommend to anyone who purchases a shockwave device to take this training session before even turning it on for the first time." To request a quote, simply select your model below and fill out the basic contact form!